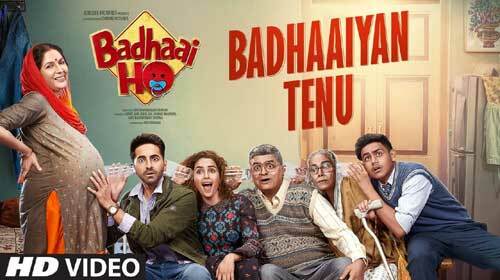 Badhaaiyan Tenu Lyrics – Badhaai Ho: This song belongs to the upcoming movie Badhaai Ho starring Ayushmann Khurrana & Sanya Malhotra. Brijesh Shandailya, Romy & Jordan has sung this song which is composed by Tanishk Bagchi and written by Vayu. If you find any mistake in lyrics of BADHAAIYAN TENU LYRICS – Badhaai Ho song please let us know in comments.